When patients are frustrated with tweezing, shaving, threading, and waxing to remove undesirable hair, laser hair removal treatments can be a great option. 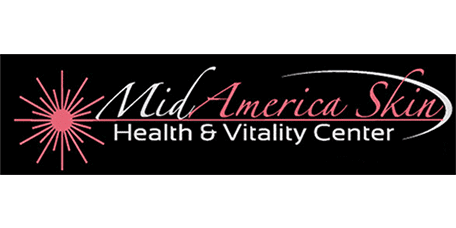 At MidAmerica Skin Health & Vitality Center, Dr. Muccini can work with Chesterfield and St. Louis area patients to eradicate unwanted hair with lasting effect. What is Laser or Light-Based Hair Removal? Laser hair removal is accomplished by directing highly concentrated light into the hair follicle. Pigments in the follicle attract the light, which destroys the hair. Lasers can be employed on the face, legs, arms, underarms, bikini line, and, generally, any other area where hair is unwanted. These treatments are helpful because they can target undesired hair without harming the surrounding skin, address multiple hairs at a time, and have a predictable effect. Depending on the patient’s skin type, hair removal may also be accomplished with Broadband Light (BBL) or Intense Pulsed Light (IPL). Prior to a hair removal treatment, Dr. Muccini or his staff will discuss the procedure with patients to ensure they have a full understanding of the procedure. Patients should make sure to limit waxing, plucking, and electrolysis for at least 6 weeks prior to treatment because these efforts remove the hair and hair roots, which need to be present for an effective laser or light-based treatment. The individual hairs and hair roots are the actual targets. Additionally, patients should avoid sun exposure for 6 weeks prior to and following the treatment, as this can make the procedure less successful and increase the risk of post-treatment complications. What Should I Expect During Laser or Light-Based Hair Removal? Prior to the procedure, the hair undergoing the treatment will be trimmed to a few millimeters above the skin’s surface. The equipment used for the treatment will be calibrated to the color, thickness, and location of the hair, in addition to the person’s skin color. Depending on the device being used, appropriate eye protection may be provided. The patient’s epidermis will be protected by a cool gel or special cooling device during the procedure, and this will also assist the light in penetrating the skin. Treatment settings will be verified and treatment will proceed. When the treatment session is completed, the patient may receive cold water, ice packs, or anti-inflammatory lotions or creams to minimize discomfort. Patients will then schedule the following treatment for approximately four to six weeks later. Patients will receive treatments according to the selected treatment plan and clinical goals.